Is your annual eye exam coming up soon? If so, that’s great! 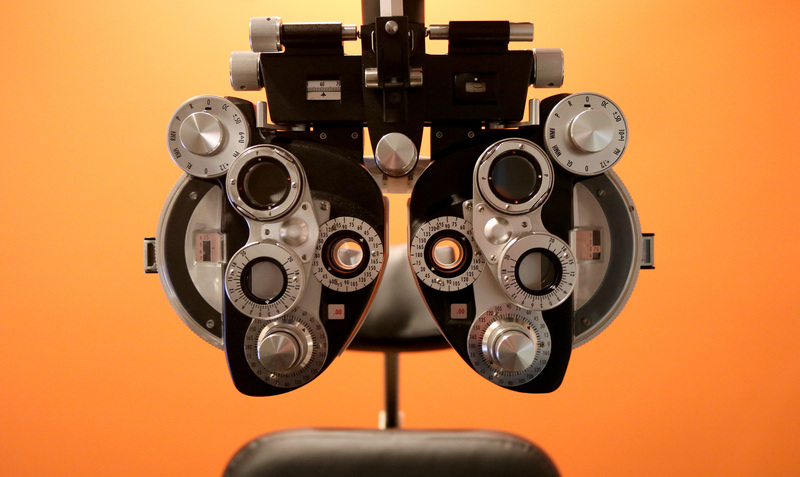 Between all the hustle and bustle, making time to go to an eye appointment can be hard. Whether you’re on the books or not, you might be wondering why you need to go. Each year you go, and if you haven’t had anything drastic happen to your vision, you might feel like it’s a waste of time. But actually, it’s one of the best things you can do for your health, and in this article, we’re going to show you why. The most obvious reason for annual eye exams is to make sure that your prescription hasn’t changed. Although you may not have noticed a difference in your vision, your eyesight still might have changed enough to warrant new glasses or contacts. Children and older adults will see more changes than teenagers to 40-year-olds, but that doesn’t mean your prescription can’t change at those ages. If you have a job that requires you to look at a computer all day, you may start to experience eye strain from the blue light computers emit. Even using your phone can cause damage to your eyes over time. Those over the age of 40 may start to experience presbyopia, a symptom that makes it harder for you to see objects that are close up. While it might not make a big difference at first, you’ll eventually need to see an optometrist for help. Keep in mind that presbyopia can worsen over time, giving you more reason to have an eye exam on an annual basis. A common myth is that wearing the wrong prescription can damage your eyes permanently. While not true, having glasses that are too weak or strong can make objects blurry, which can give you headaches or eye strain. Avoid this by seeing your eye doctor at least once a year or more if your vision starts to seem off. Having an annual eye exam keeps you from living with a bad prescription, but it can also keep you from living with an eye disease. Many eye issues don’t have obvious symptoms at first, but an experienced optometrist will be able to spot these problems for you. Eye exams check for diseases like macular degeneration, diabetic retinopathy, cataracts, and glaucoma. They also help you identify and cure less critical issues like dry eye. As we age, eye problems become increasingly prevalent, meaning that an annual eye exam is even more important for those over the age 0f 60. Believe it or not, over half of all Americans have cataracts by age 75. Some optometrists might even recommend that you visit more than once a year depending on your situation. Your eyes can also be an indicator of other health problems. For example, blurred vision can sometimes be a sign of diabetes. Even if your eyes seem fine, a disease or issue could be under the radar now, and having your eye doctor catch it before you do may make all the difference. Children and babies are a special case when it comes to eye exams. While the previous points apply to them as well, there’s more on the line when it comes to their eye exams. One out of every 4 kids have undiagnosed vision problems, and they might not even know it. Even if they are having trouble seeing, they could not be saying anything, which can be a detrimental problem at school. Kids who can’t see a whiteboard from the back of the class or read a book in their hand will have trouble keeping up. Their vision doesn’t have to be too bad to stifle their ability to learn though. A small vision problem can slow their reading or playing ability. Eye exams for babies are often overlooked, but they’re just as important. Babies should see an optometrist at six months old, 3-years-old, and right before kindergarten. The reason for this is that 80 percent of what a baby learns is through their eyes. If a baby has bad vision, it might hurt their ability to learn, harming their development process. Regular visits with an eye doctor will ensure that your baby will grow up happy and healthy. Now that you’ve read this article, you should have an idea of the importance of scheduling your annual eye exam. Although it may not seem like a big deal, these exams are necessary for finding any eye issues before they get out of hand. Plus, they can give you the peace of mind of knowing that your health is in check. If you’re looking to schedule an appointment, look no further. Schedule an eye exam in Knoxville with us today.